A musical way to play! Simply tip the Bashful Blue Bunny Chime upside down for the softest fairy jingle! Be gentle though, this Blue Bunny might get dizzy! No need for batteries with this handsome bunny, he'll be ting-ting ringing for years to come. 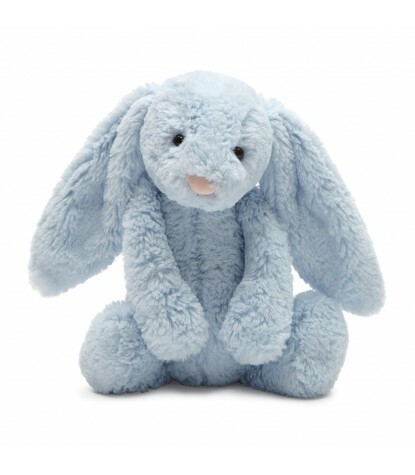 A star of the Jellycat world, this soft rabbit is sure to bring many smiles to your babies face. 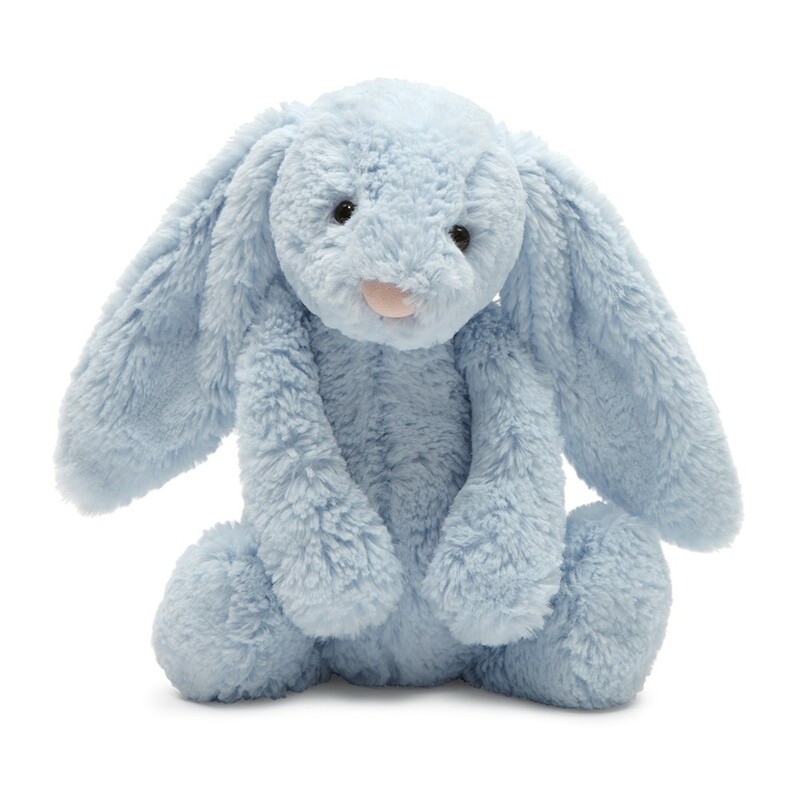 This Jellycat Stands Approximately 12” Inches Tall.